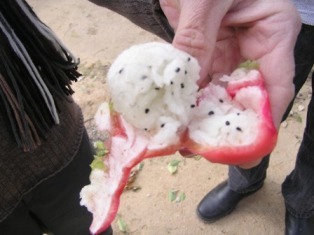 Apple cactus is believed to be a native of Peru. It is grown in many countries of the South Esatern part of the South American continent. It has now travelled to other parts of the world too. 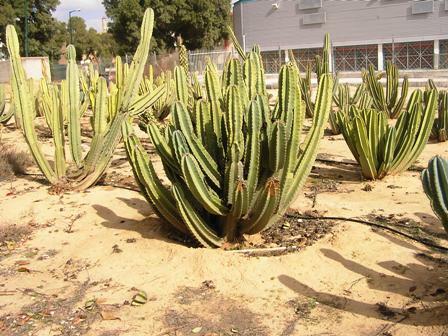 As it is xerophtic plant, so they are trying to domesticate it in a big way in Israel now. Flowers are very beautiful, 15-20 cm long and 15-20 cm wide, petals numerous, hermophrodite, opening at night time only; stamens short, numerous located around the entrance to the tube with nectar, pale green or pale yellow. Fruits ovoid, 7-10 cm long and 5-7 cm wide, fruit with a width of 5-7 cm; colour varying from yellow, orange and red to dark red; flesh cream or white, crisp, very juicy. Seeds very small, black, impregnated in the pulp, 600-2000 per fruit which are eaten alongwith the pulp; taste somewhat flat, slightly sweet and slightly sour. The fruits are eaten fresh. These make an excellent fruit salad. 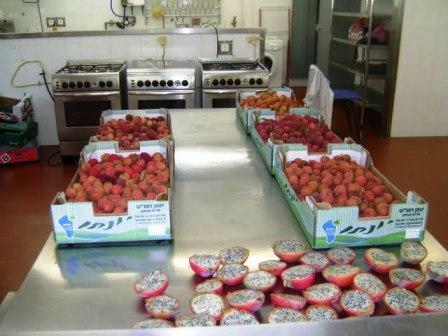 Fruits are also processed being processed to make beverages in Israel. The seeds are said to have a slight laxative effect. Apple cactus is reported to be a good source of vitamins B, C and E, Phosphorus, iron, calcium, potassium and magnesium. 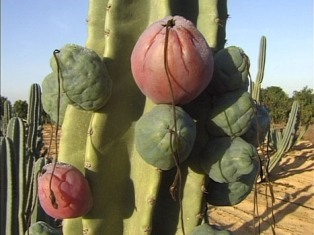 Apple cactus is basically fruit of tropical to dry subtropical areas receiving 200 – 500 mm of annual rainfall. This fruit is sensitive to frost. As the morphology of this plant indicates, it has xerophtic characteristics and can therefore grow under low moisture conditions. This fruit seems to be a good introduction for arid regions. 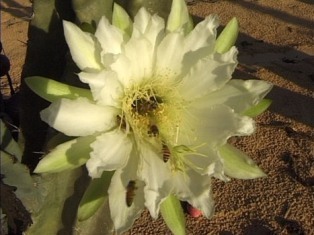 New plants of apple cactus can be raised from seed. The seedlings can attain a height of 30 cm in a year when these are fit for planting in the field. New plants can also be easily raised by cuttings. Plants are planted in the field at a distance of 4 m. This distance can, however, be modified to suit the place of cultivation. The new plants start bearing in 3-4 years. 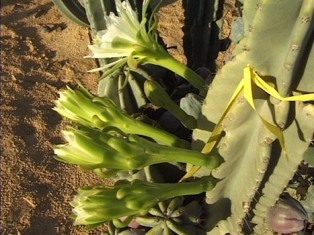 As the flowers open during the night, so these are possibly pollinated by moths. A plant can yield 50-60 fruits per year. In Israel, these are packed in specially designed small card borad cartons and marketed as a specialty fruit.